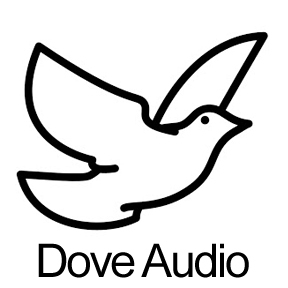 The Dove Audio WTF Eurorack Oscillator is a brand new type of oscillator, which uses a unique form of synthesis called Window Transform Function (WTF), which lets you modulate one waveform with another to create brand new, unheard timbres. The brain child of synthesis design legend Paula Maddox, the WTF works by giving you two waveforms, one at the front and one behind, the result is the modulated crossover sum between to the two waves, which yield some gorgeous, fascinating tones that are otherwise inaccessible. Onboard waveforms include a range of “standard” waves, wavetables and customisable noise that goes from chip-tune style NES noise, to pure white noise. These can be blended in any way you see fit, making the limitation of this oscillator, almost endless. You can run two of these WTF algorithms at the same time, in dual mode you get two windows to modify and in invert switch lets you invert the rear waveform giving you even more sonic potential. Full CV control over the width / amplitude of the front, audible and rear waveforms is provided, with each input featuring a dedicated attenuator, so you don’t need to sacrifice another module to dial in the desired modulation values. Applying stepped random voltages can lead to glitchy, interesting rhythms, with smoothed modulation resulting in sweet enveloping tones that draw you in. This level of control and deep modulation coupled with this unique synthesis method means that you’ll never be out of inspiration or be wanting for another oscillator. This is a beautiful sound source with an incredible vast array of sonic possibilities that been designed with incredible care, love and attention by one of the UK’s unsung heroes of synth design. a brand new type of oscillator, which uses a unique form of synthesis called Window Transform Function (WTF), which lets you modulate one waveform with another to create brand new, unheard timbres.